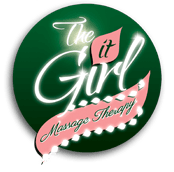 New to the It Girl Massage Therapy? As a first-time guest we recommend that you arrive 15 minutes early to fill out a form and to have a brief consultation. You can download and print the consultation form here to save some time. Parking: Free Parking available located right next to the building. Attire: Regular clothing. You will have a chance to change in the treatment room before your massage. Shoes must be left at the door as you enter and it is recommended that you bring a pair of socks. General Service Policy: A 24 hour notice is required to cancel or change your appointment. Payment Policy: All services are prepaid and will include 7% NJ Sales Tax.